Why SMPE Fuel Pumps ? SMPE supply a complete range of fuel pump assemblies, swirl pots, in-tank pumps, in-line (external) pumps and sender units available in the Intermotor, Fuel Parts and Kerr Nelson brands. A fuel pump assembly is the combination of the electric fuel pump, filter, and an electronic device used to measure the fuel in the tank (a float attached to a sensor which sends data to the dash mounted fuel guage). 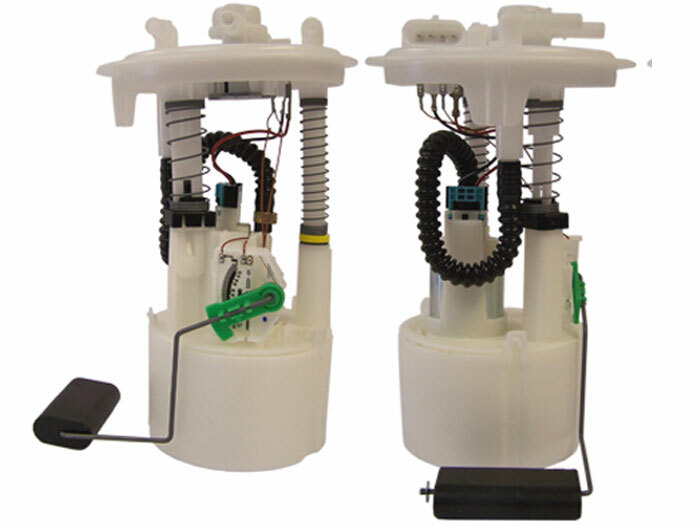 The complete in-tank fuel pump assembly is a direct replacement for the existing OE unit. This facilitates less 'down time' for the vehicle and quicker turn around for the installer. Failure symptoms include noisy fuel pump, low or no fuel presure, high fuel pump current draw and an inoperative fuel level gauge. When replacing an In-tank pump, it is also advised to replace the filter. 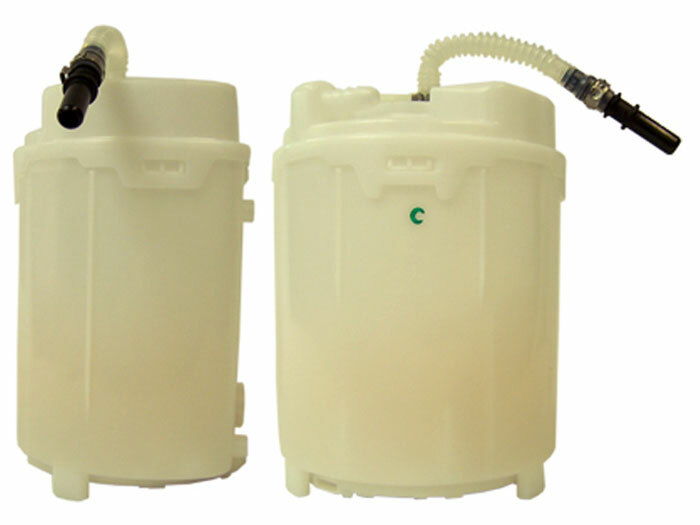 In-tank pumps are often mounted in swirl pots. A swirl pot prevents air getting into the fuel system allowing a constant fuel delivery. The pump fits inside a small reserve tank which supplies the fuel to the fuel pump during hard cornering and acceleration. A correctly installed swirl pot can reduce injection pump failure and filters fuel from the fuel tank. The electric fuel pump is mounted in the fuel tank of the vehicle. The pump creates positive pressure in the fuel lines and operates at pressures from 9-55 PSI, which pushes fuel to the injection system at up to 45 GPH flow. Power to the pump is controlled by a relay which is prone to becoming oxidised and fail. This is as common as the actual fuel pump itself failing. These are mounted externally to the fuel tank, usually below it and are supplied with fuel by gravity from a pipe leading from the bottom of the tank. Power to the pump is controlled by a relay. When the fuel level runs low, particles and debris can often e transferred to the fuel pump which can cause failure. A float attached to a variable resistor sends a signal to the cars fuel level gauge, relative to the level of fuel in the fuel tank. The resistor is usually of the carbon track type and at full tank fuel levels is completely immersed in fuel. Seperate fuel tank sender units are now becoming a thing of the past, sender units are now incorporated into the fuel pump assembly. Sender units can fail at one fuel level which would relate to complaints of intermittent incorrect reading, the float can also become porous, resulting in low fuel tank readings. Floats are not available seperately.